In this week’s Torah reading, we get some advice that seems obvious, but is seldom followed. The Bible gives us ample reason to realize that our lives would definitely go better if we will would just take this advice. The problem is, we think that just knowing something is enough. WRONG! Yeshua said, “If you know these things, blessed are you if you do them.” You can take that to the bank. In each case, I will quote the passage before stating the relevant principle. All of these passages are taken from this week’s Torah reading in Leviticus/Vayikra 26-27. 3 If you follow My laws and faithfully observe My commandments, 4 I will grant your rains in their season, so that the earth shall yield its produce and the trees of the field their fruit. 5 Your threshing shall overtake the vintage, and your vintage shall overtake the sowing; you shall eat your fill of bread and dwell securely in your land. 6 I will grant peace in the land, and you shall lie down untroubled by anyone; I will give the land respite from vicious beasts, and no sword shall cross your land. 7 You shall give chase to your enemies, and they shall fall before you by the sword. 8 Five of you shall give chase to a hundred, and a hundred of you shall give chase to ten thousand; your enemies shall fall before you by the sword. 9 I will look with favor upon you, and make you fertile and multiply you; and I will maintain My covenant with you. 10 You shall eat old grain long stored, and you shall have to clear out the old to make room for the new. 11 I will establish My abode in your midst, and I will not spurn you. 12 I will be ever present in your midst: I will be your God, and you shall be My people. Yes there are exceptions, but this is the general rule. How have you seen this principle in your life or in the life of someone you know? 13 I the Lord am your God who brought you out from the land of the Egyptians to be their slaves no more, who broke the bars of your yoke and made you walk erect. In short, benefits gained can be lost if we are careless. Don’t be careless. That means take CARE. How have you seen this prinicple at work in your life or in the life of someone you know? 14 But if you do not obey Me and do not observe all these commandments, 15 if you reject My laws and spurn My rules, so that you do not observe all My commandments and you break My covenant, 16 I in turn will do this to you: I will wreak misery upon you — consumption and fever, which cause the eyes to pine and the body to languish; you shall sow your seed to no purpose, for your enemies shall eat it. 17 I will set My face against you: you shall be routed by your enemies, and your foes shall dominate you. You shall flee though none pursues. 18 And if, for all that, you do not obey Me, I will go on to discipline you sevenfold for your sins, 19 and I will break your proud glory. I will make your skies like iron and your earth like copper, 20 so that your strength shall be spent to no purpose. Your land shall not yield its produce, nor shall the trees of the land yield their fruit. 21 And if you remain hostile toward Me and refuse to obey Me, I will go on smiting you sevenfold for your sins. 22 I will loose wild beasts against you, and they shall bereave you of your children and wipe out your cattle. They shall decimate you, and your roads shall be deserted. 23 And if these things fail to discipline you for Me, and you remain hostile to Me, 24 I too will remain hostile to you: I in turn will smite you sevenfold for your sins. 25 I will bring a sword against you to wreak vengeance for the covenant; and if you withdraw into your cities, I will send pestilence among you, and you shall be delivered into enemy hands. 26 When I break your staff of bread, ten women shall bake your bread in a single oven; they shall dole out your bread by weight, and though you eat, you shall not be satisfied. 27 But if, despite this, you disobey Me and remain hostile to Me, 28 I will act against you in wrathful hostility; I, for My part, will discipline you sevenfold for your sins. 29 You shall eat the flesh of your sons and the flesh of your daughters. 30 I will destroy your cult places and cut down your incense stands, and I will heap your carcasses upon your lifeless fetishes. I will spurn you. 31 I will lay your cities in ruin and make your sanctuaries desolate, and I will not savor your pleasing odors. 32 I will make the land desolate, so that your enemies who settle in it shall be appalled by it. 33 And you I will scatter among the nations, and I will unsheath the sword against you. Your land shall become a desolation and your cities a ruin. 34 Then shall the land make up for its sabbath years throughout the time that it is desolate and you are in the land of your enemies; then shall the land rest and make up for its sabbath years. 35 Throughout the time that it is desolate, it shall observe the rest that it did not observe in your sabbath years while you were dwelling upon it. 36 As for those of you who survive, I will cast a faintness into their hearts in the land of their enemies. The sound of a driven leaf shall put them to flight. Fleeing as though from the sword, they shall fall though none pursues. 37 With no one pursuing, they shall stumble over one another as before the sword. You shall not be able to stand your ground before your enemies, 38 but shall perish among the nations; and the land of your enemies shall consume you. 39 Those of you who survive shall be heartsick over their iniquity in the land of your enemies; more, they shall be heartsick over the iniquities of their fathers; 40 and they shall confess their iniquity and the iniquity of their fathers, in that they trespassed against Me, yea, were hostile to Me. Third Principle – You can learn things the easy way or the hard way. People reap what they sow negatively. If you refuse to get the message about the chaos in your life, things will only get worse. This is the way life is, and this is the way God deals with us. Why does God make sure we reap the bad things that we sow? So that we will learn not to do that. If every mistake in your life seemed to get you further along in a good direction, what incentive would there be to change? When we are heading in the wrong diretion, God lets us run into bramble bushes, and the thorns get bigger and nastier the more we persist in going our own way. Do you know anyone, including yourself, for whom things went from bad, to worse, to worse still until he/she/they/you woke up and realized you were reaping what you sowed, and you ought to sow to the Spirit some more, and leave off sowing to the flesh? 41 When I, in turn, have been hostile to them and have removed them into the land of their enemies, then at last shall their obdurate heart humble itself, and they shall atone for their iniquity. 42 Then will I remember My covenant with Jacob; I will remember also My covenant with Isaac, and also My covenant with Abraham; and I will remember the land. 43 For the land shall be forsaken of them, making up for its sabbath years by being desolate of them, while they atone for their iniquity; for the abundant reason that they rejected My rules and spurned My laws. 44 Yet, even then, when they are in the land of their enemies, I will not reject them or spurn them so as to destroy them, annulling My covenant with them: for I the Lord am their God. 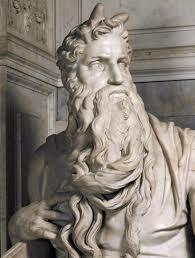 45 I will remember in their favor the covenant with the ancients, whom I freed from the land of Egypt in the sight of the nations to be their God: I, the Lord. 46 These are the laws, rules, and instructions that the Lord established, through Moses on Mount Sinai, between Himself and the Israelite people. Fourth Principle – When at last we come to our senses, things begin to flow in the other direction and life gets better, not all at once and not all the time, but generally, yes. In fact, it is a mercy that life gets harder and harder when we live against the grain, because the ever-worsening situation is meant to be a wake-up call. And when we wake up, things improve. But not until then. Think of the story of the Prodigal Son. How was his life getting worse and worse a redemptive experience? Has God ever brought you to your senses by contrary circumstances? On the whole, are you running your life along the grain of God’s nature and purposes, or are you going against the grain. In which direction are you most apt to get splinters? In what ways have you been walking contrary to God and what are you going to do about that today? What repentence needs to be shown? What character traits need to be strengthed? Finally, do you agree or disagree that the way life generally works is a manifestation of God’s intentions? Is it simply an accident? Do you accept or do you deny deny that the consequences life delivers to us sort out in a positive moral direction? Explain, to yourself if even not to anyone else! I love this post, R’Stuart. Many of these lessons I’ve tried to instill in my children, but my oldest boy especially since he will be taking a woman and children under his care some day. I hope they will not only hear my words but see them in action. Now, I provide him a link to read a wiser man’s words. Thank you Slade. I was reluctant to post these, even though they are from this week’s parasha, because they are so obvious, and people tend to disparage the obvious. But I DO believe the truth is that we make the mistake of thinking that just knowing something is enough, so the response is, “Yeah, yeah! I know that.” But that is not the point. The point is this: What are you DOING about what you know? That one thought can make the difference beween a rewarding successful life and one of lassitude and complaint. Great post! I know these things are basics, but how many of us don’t follow the basis all the time and then bemoan our circumstances?! Like the Ramchal said in his Mesillas Yesharim, he didn’t tell us anything we don’t already know, he was just reminding us of what we already know!